My very first experience with sleep balm was right at a year ago when I was in Austin for SXSW. I was so skeptical when I purchased it, but I was having a hard time sleeping in the hotel. What was even crazier was when I woke up the next morning and realized that I actually slept better after I had tried it. 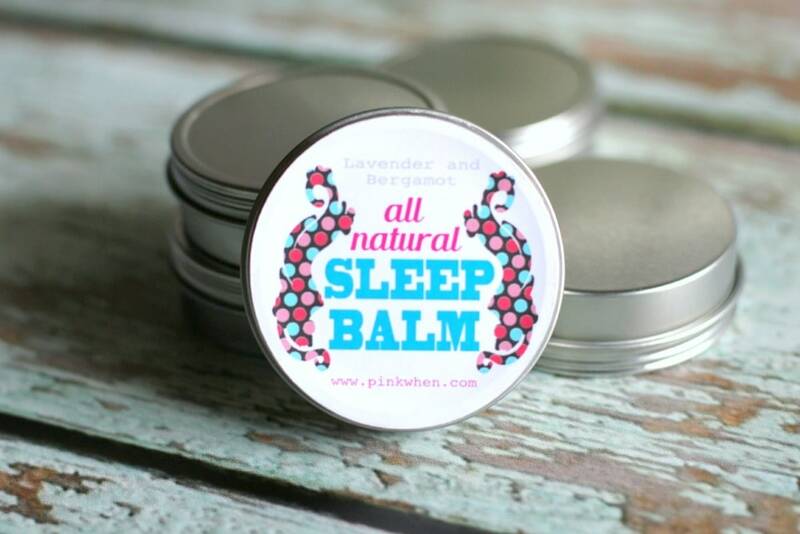 I have been using a sleep balm ever since! Now that I have essential oils and create with them, I thought this would be another perfect idea for me to make. DIY Sleep Balm. Find more uses for your essential oils here! 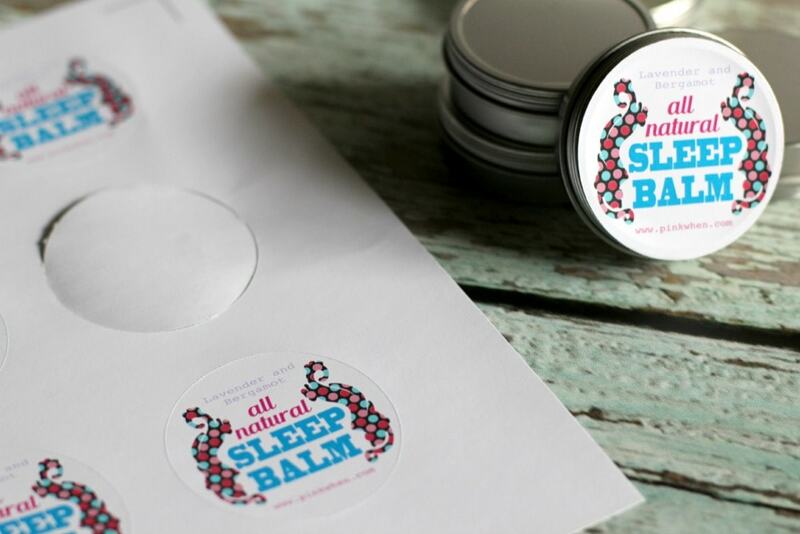 To make this All Natural Sleep Balm you will need to have a few things on hand. This is a list of what I used. 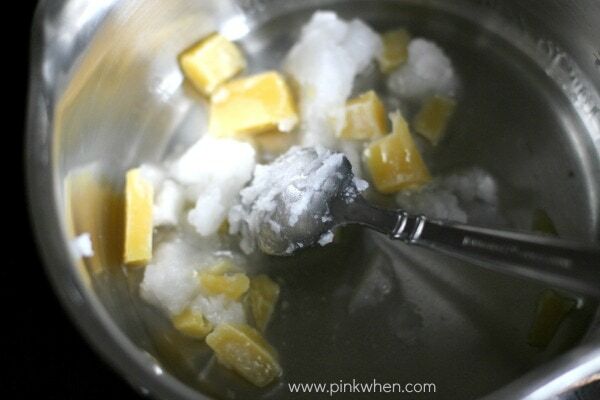 Start mixing your coconut oil and beeswax over a low to medium heat. (It may be easier to shred the beeswax bars before melting.) If you don’t shred the beeswax bars it just takes a little longer to melt. 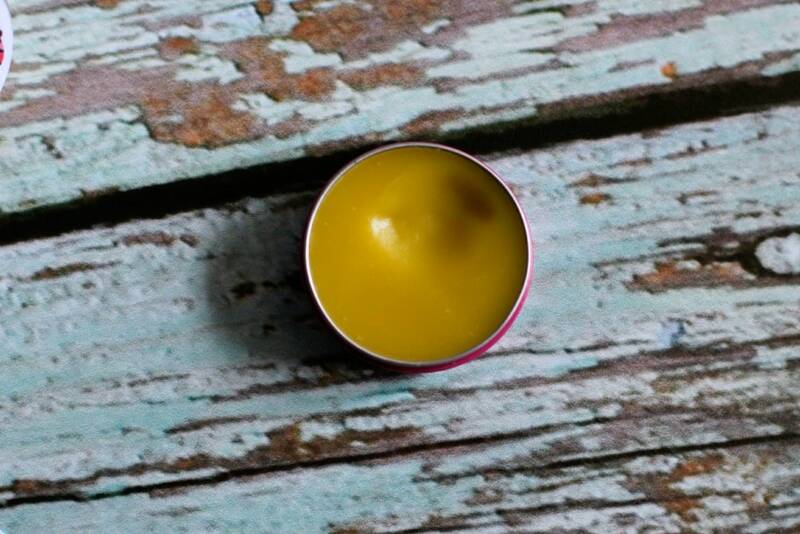 Once you have your coconut oil and beeswax melted, allow to cool slightly. After a little cooling period, add the Lavender and Bergamot essential oils. I used about 15 drops Lavender and 8 drops Bergamot. Mix well. 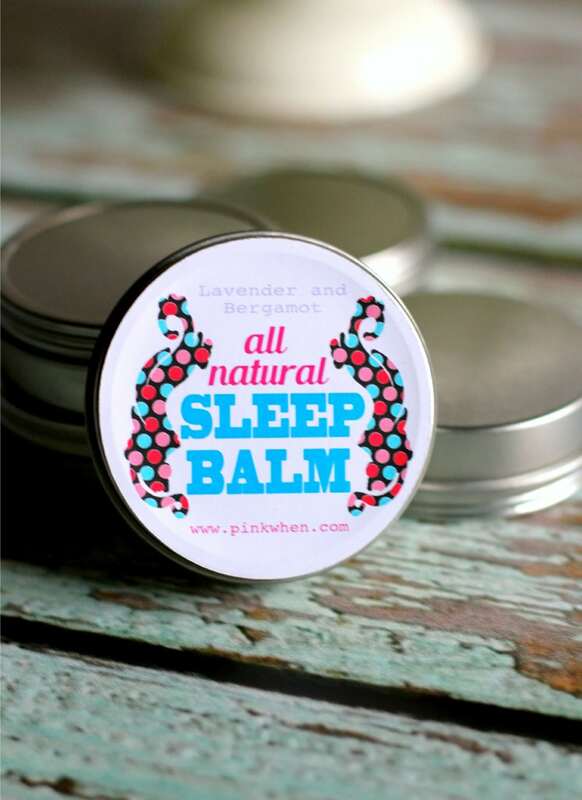 Then pour the sleep balm into the containers and allow to sit until formed back into a solid mix. It should look like this. To make it pretty, create some fun little printable labels with sticker paper and attach them to the tins. I created these fun labels and love the way they look. I love this recipe because you fill up a few tins to use, or you can give them to family or friends! If you are looking for a few other things to make with essential oils, head over here. 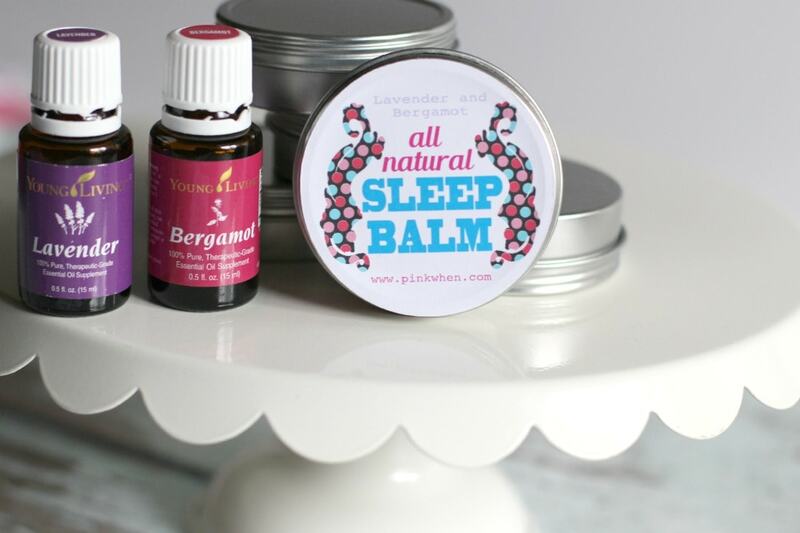 If you want to learn more about essential oils and why I like to use them, check out more info here.…and let me know what you think when you make this DIY All Natural Sleep Balm. Jennifer, I love this idea, but I’m just wondering how you actually use it. Do you melt it? apply it to your skin? I apply mine by rubbing my fingers over the sleep balm and then apply it to my forehead and temples. I love this. I don’t have bergamot, though. I do put drops of lavender under my pillow and I swear it works. It’s hard to tell because I sleep well anyway, but I’ve really needed it lately with all the work I’ve had piled up and the late nights. You are a workaholic Tamara!